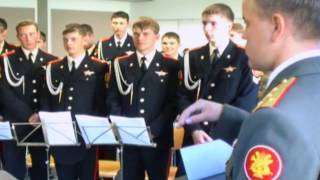 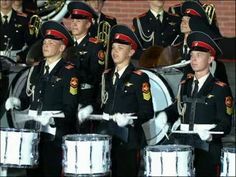 The drum corps of the Moscow Suvorov Military Music School performing in the 2009 Spasskaya Tower International Military Music Festival. 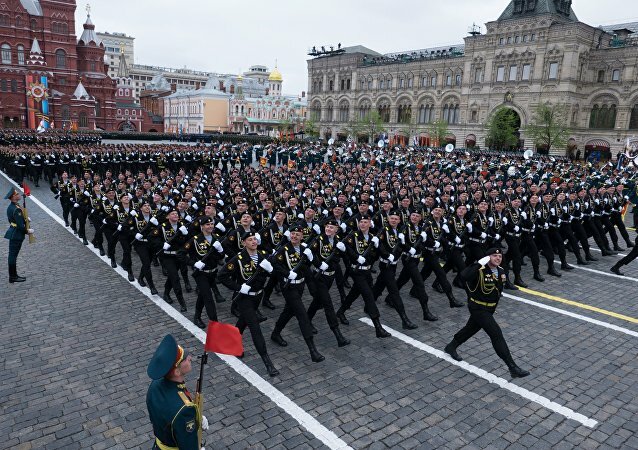 The Drum Corps of the Suvorov Military Music High School taking the lead (according to tradition) in the 2013 Moscow Victory Day Parade on Red Square. 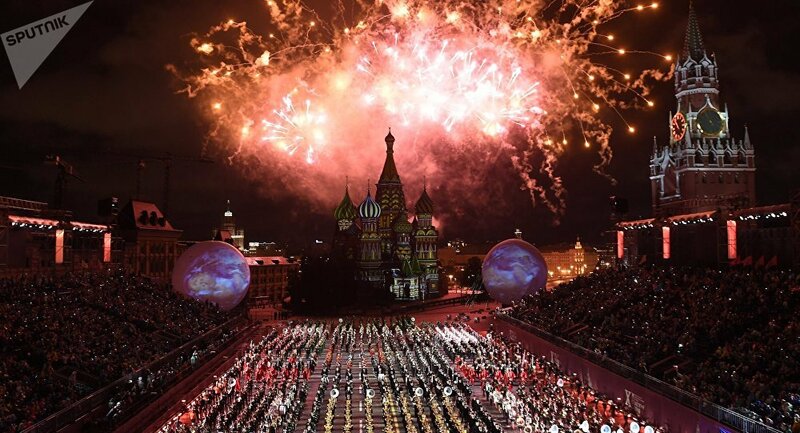 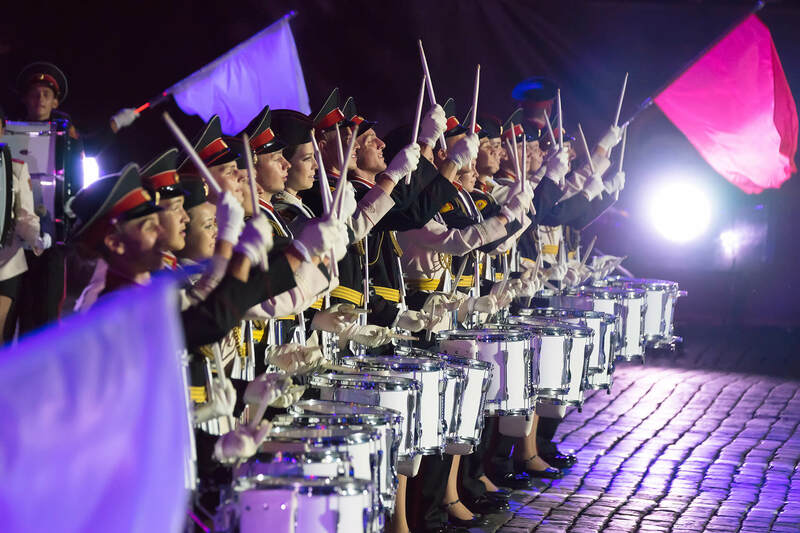 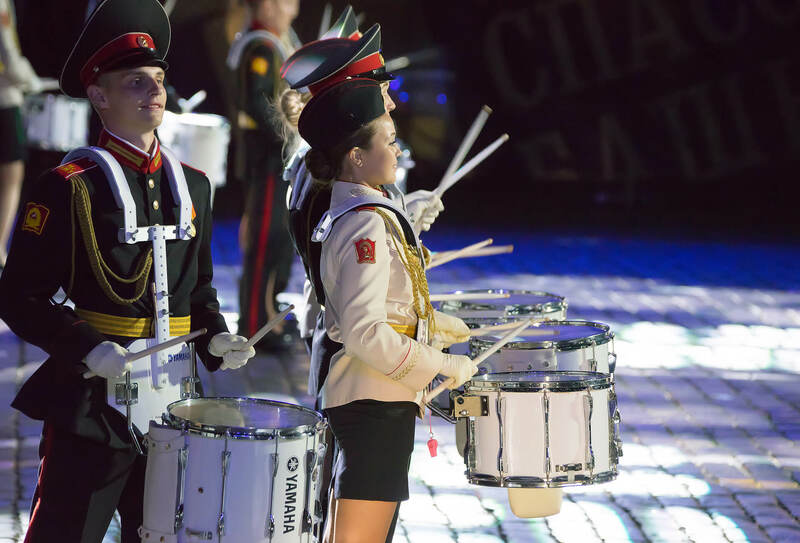 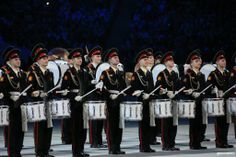 The drum corps of the Suvorov Military Music School performing at the Closing Ceremony of the 2014 Sochi Winter Olympic Games. 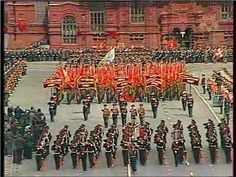 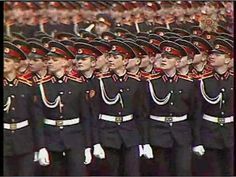 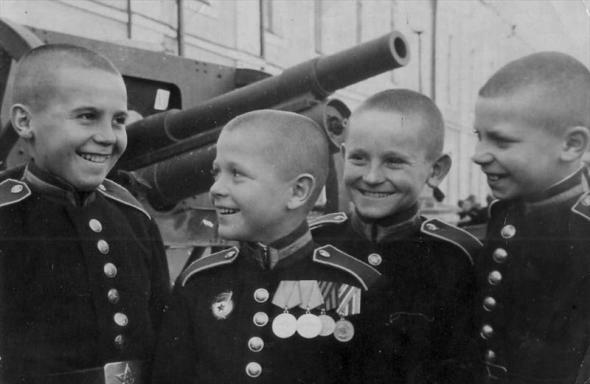 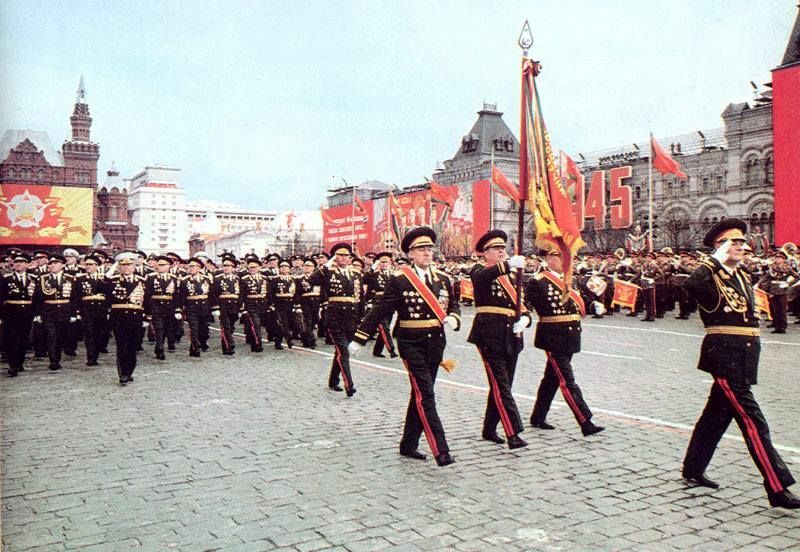 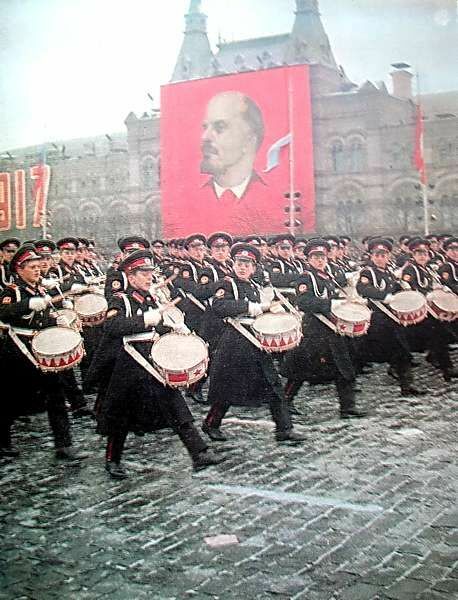 Suvorov Military School cadets marching through Red Square in the 1985 Moscow Victory Day Parade. 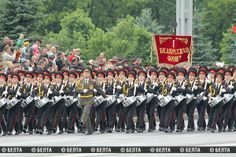 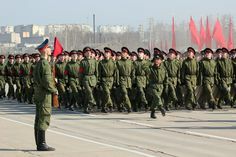 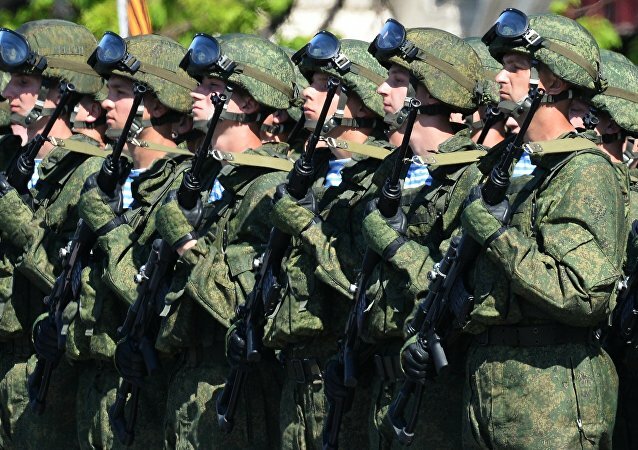 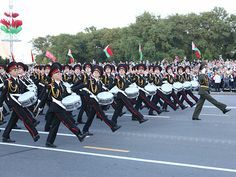 The drum corps of the Minsk Suvorov Military High School taking the lead (according to tradition) in the 2014 Belarusian Independence Day Parade. 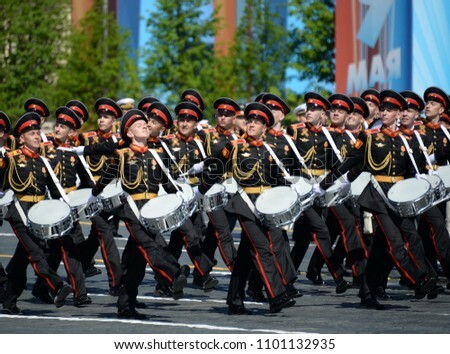 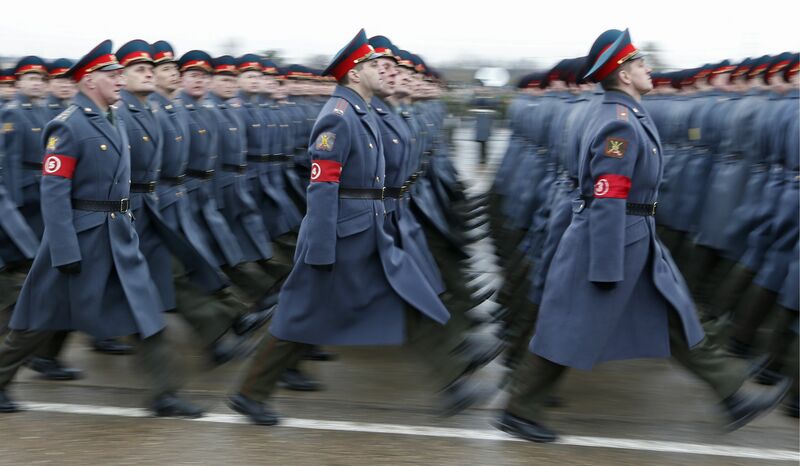 Drummers of the Minsk Suvorov Military School on the avenue during a parade in 2017. 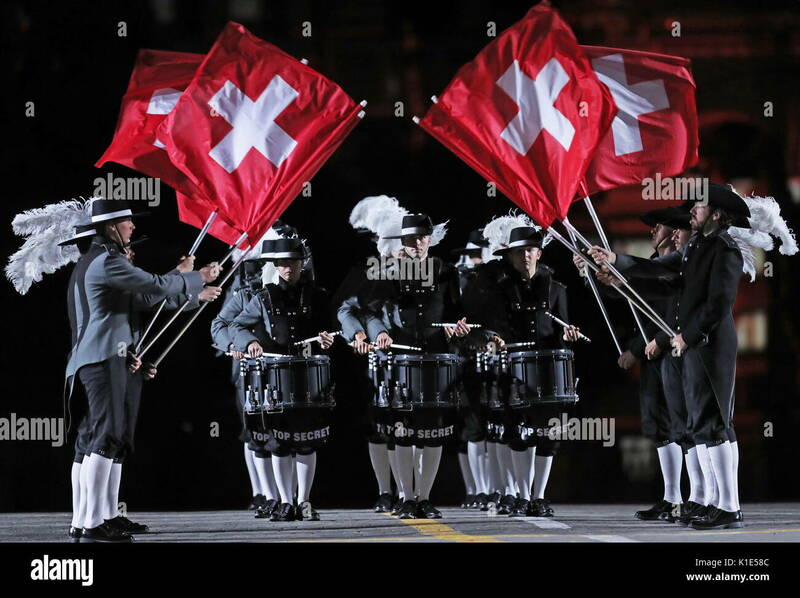 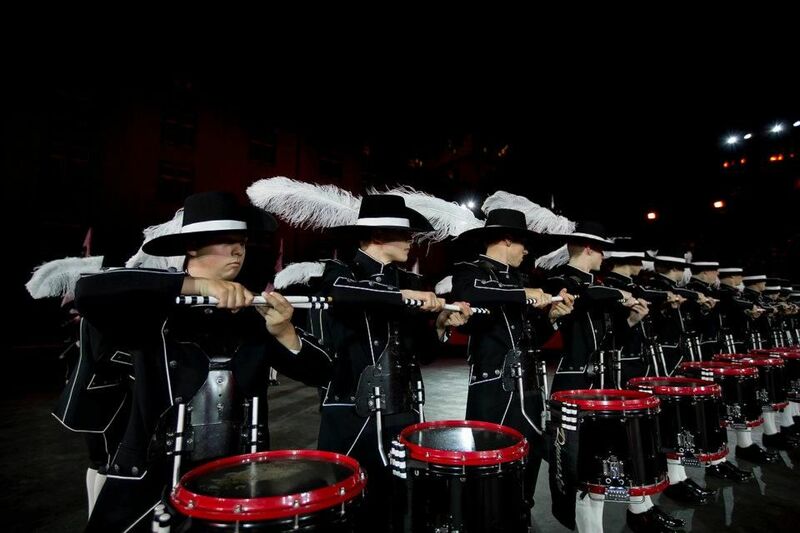 The Swiss Top Secret Drum Corps performing at the 2012 Basel Military Tattoo. 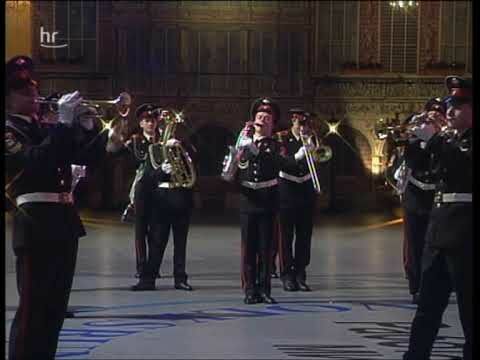 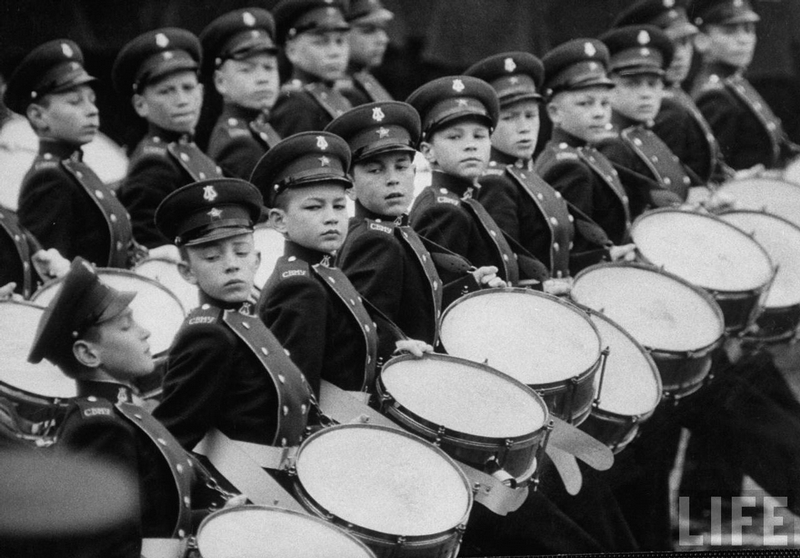 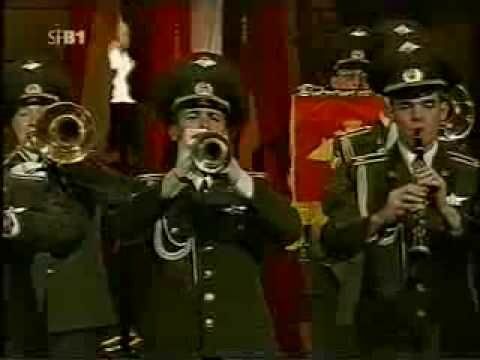 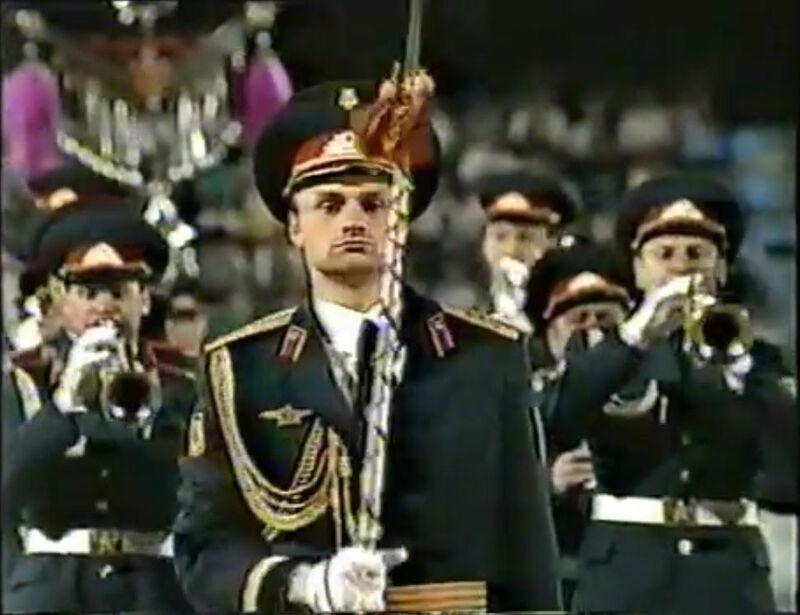 The Band of the Soviet Army Moscow Military District performing at the 1990 Dutch Liberation Day concert in Dordrecht. 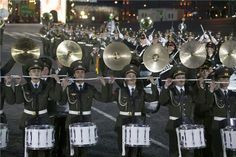 The drum corps of the Minsk Suvorov Military High School taking the lead (according to tradition) in the 2011 Belarusian Independence Day Parade. 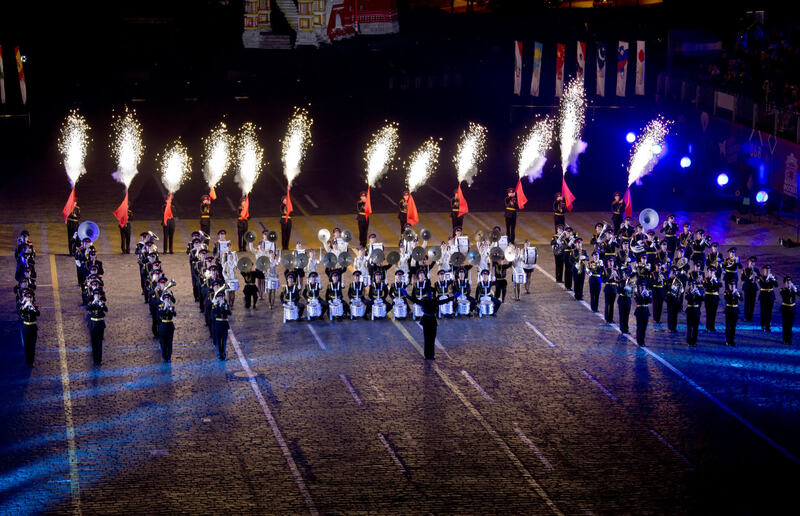 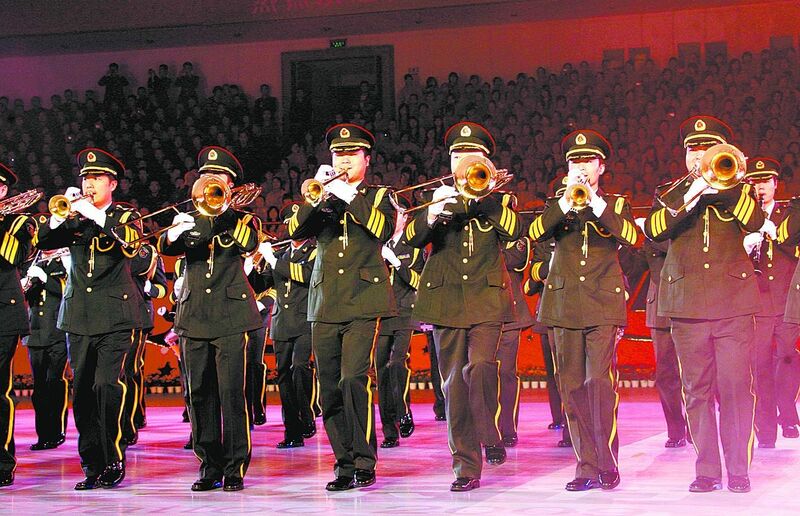 The band of the Chinese People's Liberation Army performing in the Provincial Stadium at the 2009 Nanchang International Military Tattoo. 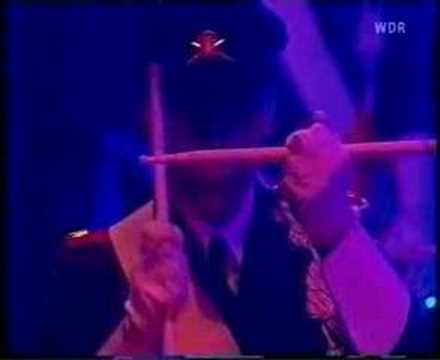 Corps of drums at a tattoo (Großer Zapfenstreich) in Germany, 2002. 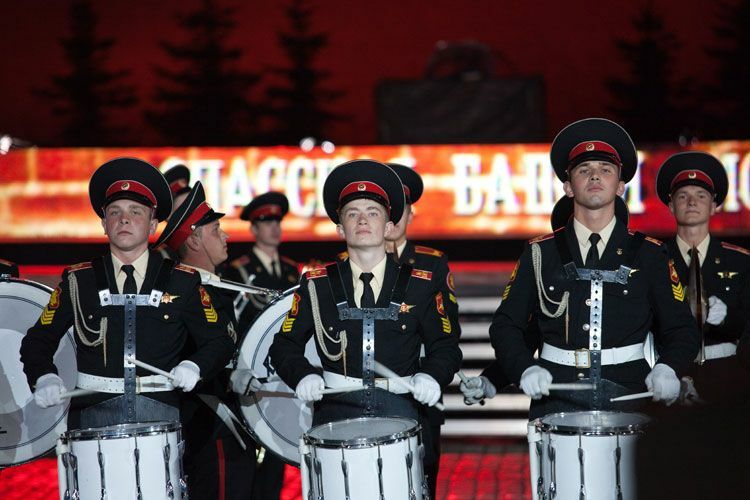 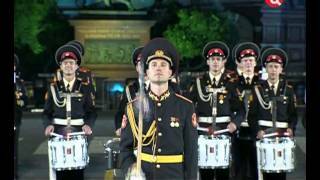 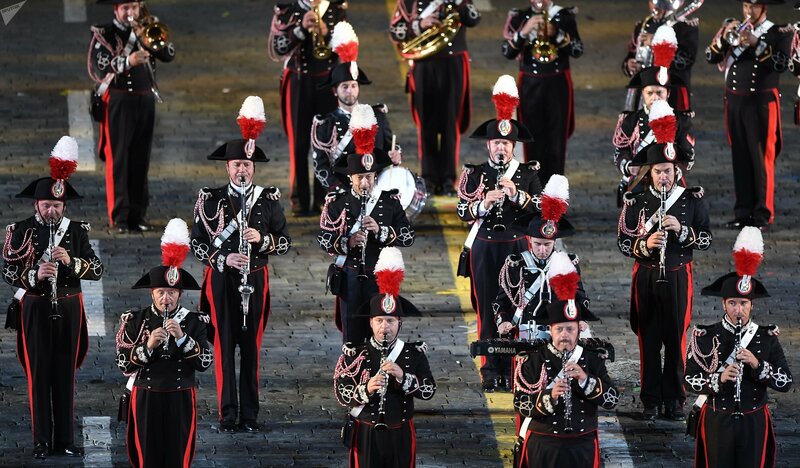 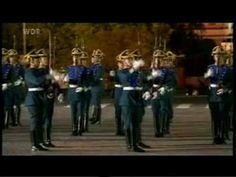 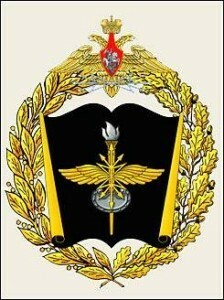 The band of the Moscow Military Conservatoire performing at the Berlin International Military Tattoo. 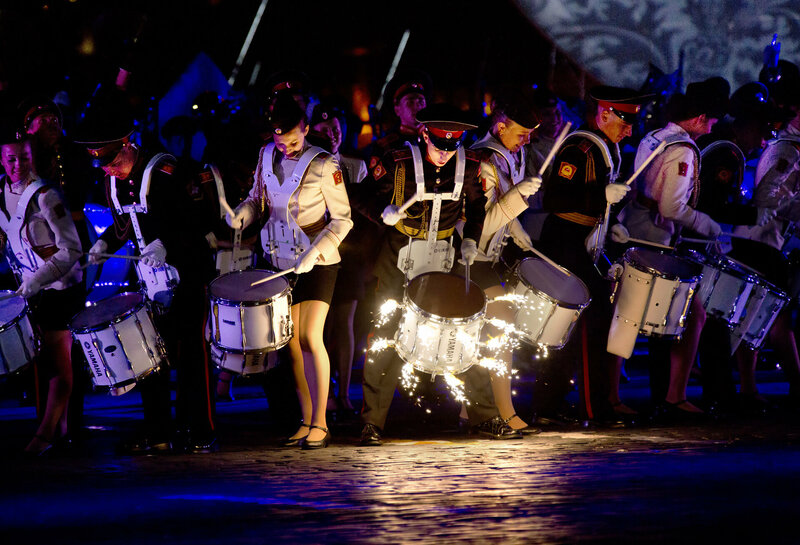 Corps of Drums of the Welsh Guards. 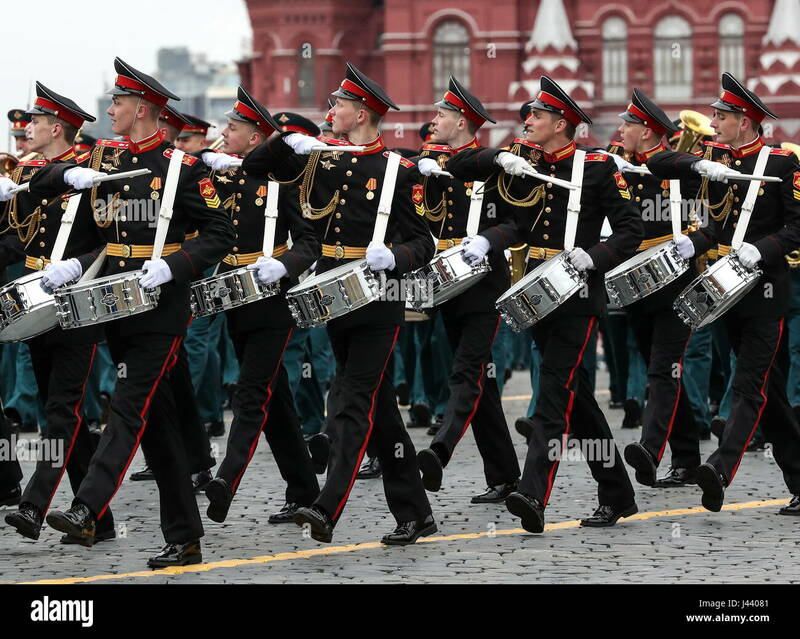 Note: side drum, bugle and short-sword slung behind, fleur-de-lys lace on body and sleeves of tunic. 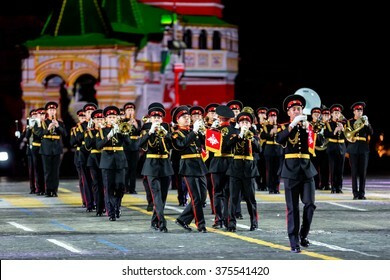 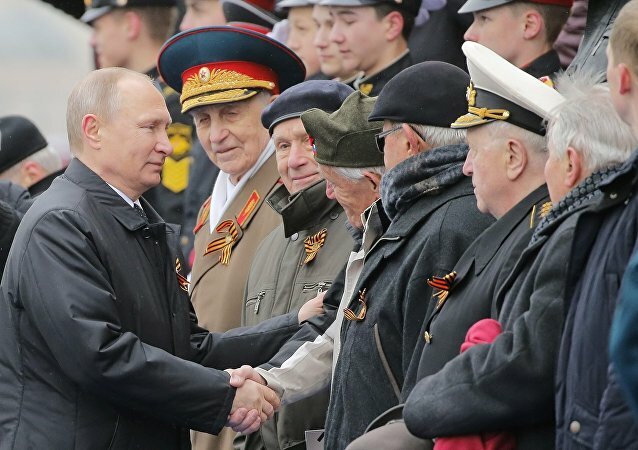 The Moscow Victory Parade of 2007 was a celebration of the 62nd anniversary of the defeat of Nazi Germany in the Great Patriotic War. 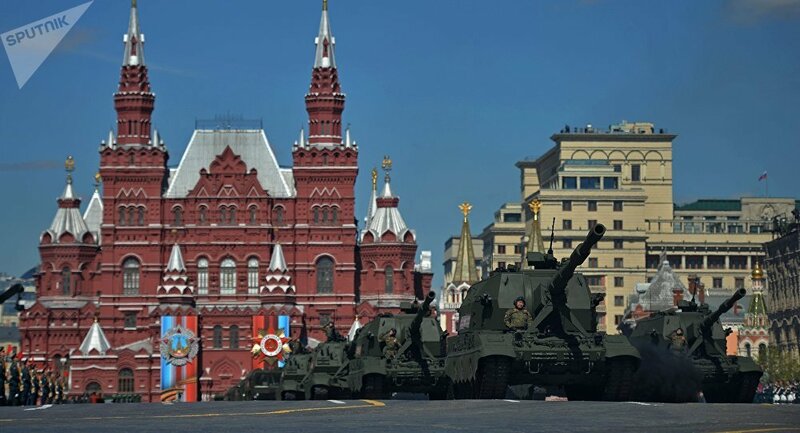 The Moscow Victory Parade of 2001 was a celebration of the 56th anniversary of the defeat of Nazi Germany in the Great Patriotic War. 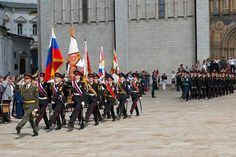 The band under the direction of Colonel Sergey Durygin during its 90th anniversary concert in 2017. 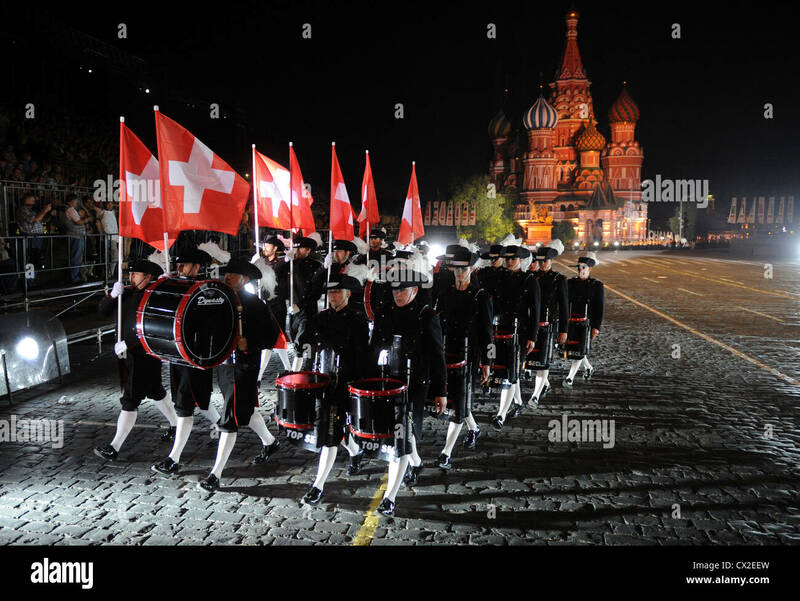 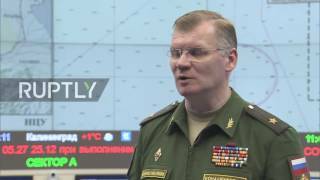 MOSCOW - SEPTEMBER 10, 2015: international festival of military orchestra "Spasskaya tower"
Lenin's Mausoleum was the grandstand used for the parade.